Over on Engineering.com you’ll find an offer for a free copy of the FEA Buyer’s Guide for Pre- and Postprocessing Software. Registration is required for the paper but the website reveals quite a bit. Written by the Femap folks at Siemens PLM Software, the report delves into issues of accuracy, CAD data, model creation, solver support and user experience. Change FEA to CFD in the title and most everything is still valid. There are so many items from CD-adapco this week that I’m bundling them all under one heading. CFD simulation of the Bauer Catfish done using STAR-CCM+ at Creaform. Image from Bauer Ltd. Click image for article. In a preview of STAR-CCM+ v8.06, CD-adapco blogs about new multiphase capabilities including particulates. CD-adapco’s Stephen Ferguson shares a hard-earned list of seven tips for engineering simulation. CD-adapco has licensed D-Cubed from Siemens for use in geometric constraint management. 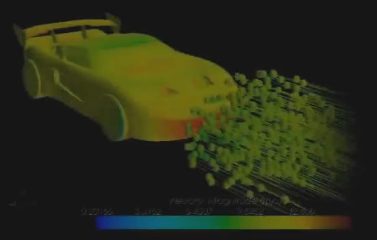 Screen capture of a student-created CFD simulation using STAR-CCM+ at BYU. Pointwise V17.1 R4 was released for CFD mesh generation and includes new file-level compatibility with the GridPro structured grid generator, a native interface to the TAU CFD solver, and more. CFPD software released a GPU-accelerated version of Barracuda that is up to 650% faster for performing fluidized bed simulations. Altair’s new Hyperworks Virtual Wind Tunnel is a customized application of their AcuSolve technology that targets the automotive industry. CEI released EnSight 10.0.3e for CFD visualization and postprocessing. The folks at Altair ask and answer the question How Refined Should a Mesh Be? 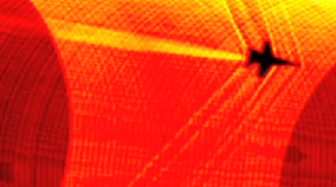 NAFEMS is offering a 1-day seminar on Computational Aeroacoustics to be held in Gaydon UK on 20 November 2013. NAFEMS is also hosting a Simulation Data Management symposium in Troy, Michigan on 21 November 2013. Speaking of the cloud, Tech Soft 3D announced upcoming versions of their 3D CAD and visualization technology specifically designed for mobile and cloud-based applications. 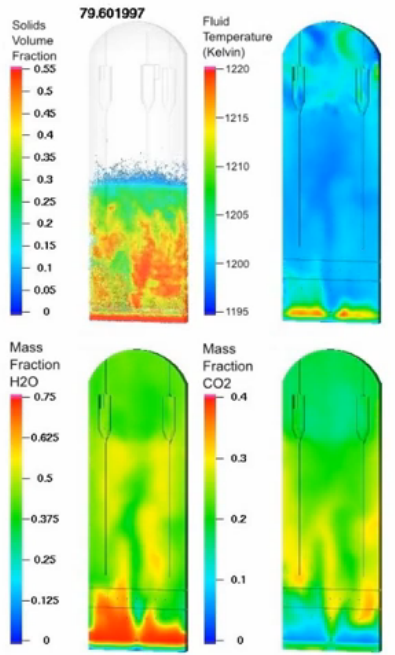 Screen capture of a fluidized bed reactor simulation from Barracuda VR. Pointwise’s Y+ Calculator, a mobile app for computing wall spacing in a viscous CFD simulation, is now available for Android in addition to iPhone. The Learn CAX blog shares information for those of you who wish to go hard-core with Autodesk Inventor’s C++ API for the purposes of tessellation. Tecplot shares information about how they resolved storage bottlenecks for their automated software build system. Back on the CFD postprocessing side of things, Tecplot will discuss the postprocessing of one billion cells in a webinar on 10 October. On the SolidWorks blog you can read about using the Parametric Study tool in SolidWorks Flow Simulation to conduct a series of simulations with varying geometry and flow conditions. Over on the Various Consquences blog you’ll find a round-up of CFD validation and verification resources. NASA researchers have developed ground to air Schlieren which is just what it sounds like – lasers and cameras that let you take Schlieren photographs of an aircraft in supersonic flight in order to visualize the shock waves. In the example shown below an F-18 passes in front of the sun. Ground-to-air Schlieren photography was used to capture the shock structure around an F-18 as it passes in front of the sun. Image from International Science Grid This Week. This entry was posted in Events, News, Software and tagged AcuSolve, Altair, Autodesk, Barracuda, CD-adapco, CEI, Ciespace, EnSight, Femap, GridPro, HyperWorks, NAFEMS, Pointwise, Siemens PLM, SolidWorks, STAR-CCM+, Tau, Tecplot. Bookmark the permalink.